Welcome to our Gas services news page. We will post updates here with info we think our customers will find useful in choosing the right tradesmen for the job. 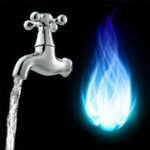 Gas utilities while convenient in heating and bringing hot water to homes and businesses throughout belfast can also be dangerous if not installed properly. All our engineers here at ODH Heating are gas safe registered and have the safety of our customers utmost in our minds hn carrying out work at your home or business premises. Don’t opt for second best. Give us a call today on 07730 325176 and we’ll come out to assess your needs and give you a fair price.